Families move from other locations in the country just to take advantage of the educational opportunities offered at Franklin High School. Buyers will find there are hundreds of Franklin TN homes for sale zoned for Franklin High. For ease, you will find a complete Franklin High School neighborhood list and homes categorized by price in the sidebar to the right. Franklin High School has a long and rich history of providing education to the young people of Williamson County. 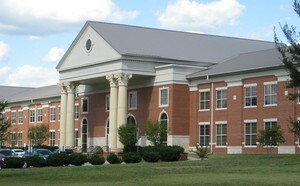 Franklin High also excels outside the classroom, with a nationally recognized band program, active forensic and vocal music programs, numerous student clubs and organizations, and competitive athletic programs in every sport sanctioned by the TSSAA, including 10 state championships in women’s soccer. The small school that began with 20 students and 2 teachers has been a driving educational force in Williamson County for over 100 years. Franklin High School now serves over 1,800 students annually and has consistently been ranked by The Washington Post, U.S. News and Newsweek as one of the top performing high schools in the nation. Just click the links provided in the sidebar to search for Franklin TN homes zoned for Franklin High School by neighborhood and price.